We will contact you to arrange any additional payments, delivery and installation dates. Please refer to the Delivery Information below for detailed information. Additional Windows, doors and plain panels can be added. Please call for details. "A very solid building, installed by Waltons to an equally high standard. I've moved my office out of the house and now work from this building. It's made a huge difference. Painting took a while, but the hard work was worth it. Would recommend to others and have done so." 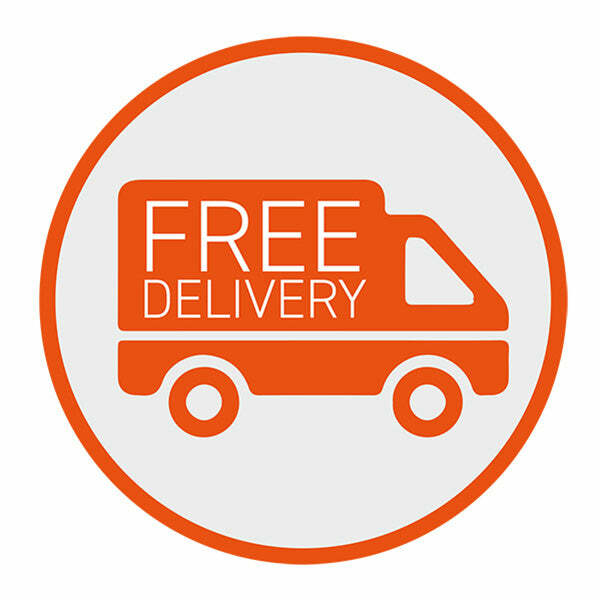 A member of our team will contact you directly to arrange a suitable delivery date. This building is insulated with Airtec and EcoQuilt Insulation for maximum efficiency. This building features built in spotlights. This building is installed for you to save you time! This building has a modular design, allowing for custom placement of panels, doors and windows. This building features Shiplap+ Cladding, designed for a strong, weatherproof finish. A waterproof synthetic rubber compound which protects your roof for up to 50 years. 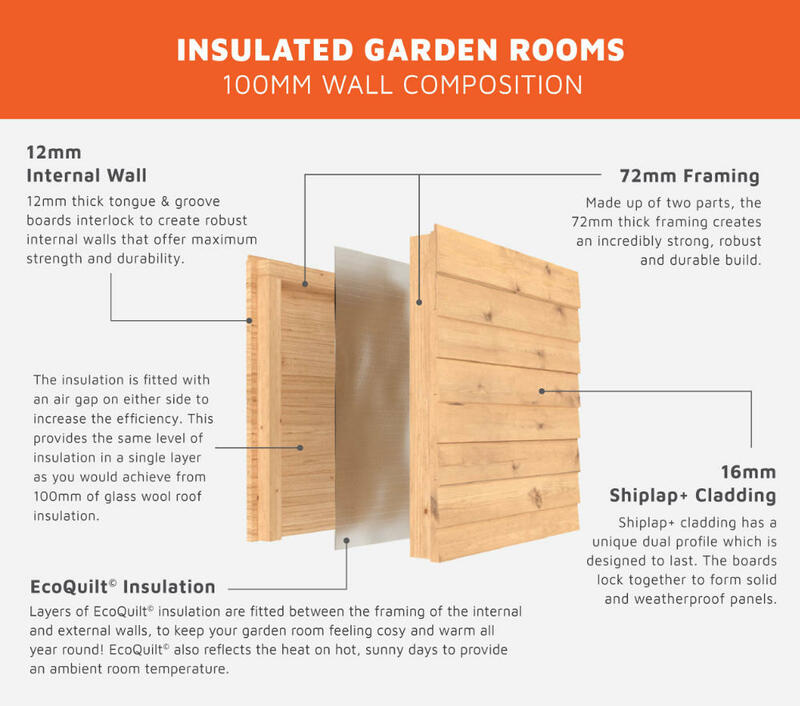 This building features 12mm thick Shiplap Cladding, designed for a strong, weatherproof finish. It is fantastic that you are very happy with your new garden room and that you would recommend Waltons. This is lovely to know and I thank you again for your lovely feedback. I am thrilled to know that you are so pleased with the quality of your garden room and that you are very happy with your purchase. Thank you again for your great feedback. I am so pleased that you are more than happy with your garden room and the professional service provided. Thank you again for your great review.